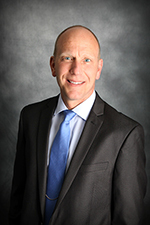 Dr. Hartman is a graduate of Windom Area High school. He earned his AA degree at Worthington Community College and his BA degree in biology at Moorhead State University. He attended Pacific University College of Optometry in Forest Grove, Oregon where he earned his doctorate degree. Dr. Hartman received additional training in general practice and in the treatment and management of ocular disease at the Veterans Affairs hospital in Vancouver, Washington. Dr. Hartman and his wife, Debbie, live in Wadena. They have three daughters, Macy, Paige and Libby. He enjoys family time, exercising, basketball and yard work. Schedule an appointment now with Dr. Hartman.